Continuing our Christmas 2013 Upcycled Decorating with these cute stockings. We love the simplicity of this tutorial! 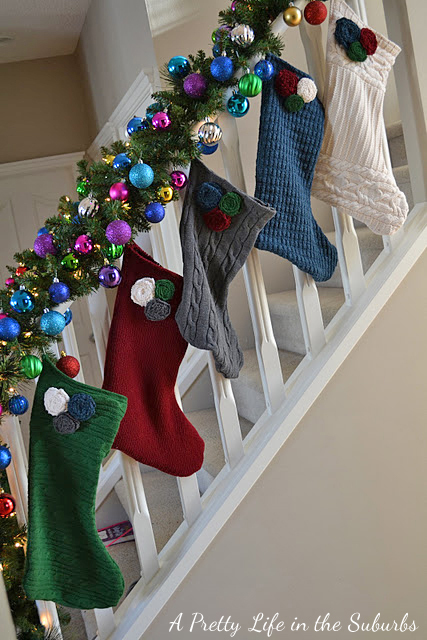 A perfect way to use worn out sweaters without buying newly made stockings for your family. In an afternoon, you can make stockings for your entire family. You could also make smaller versions to use as gift tags for your upcycled wrapping. Just slip a little treat and a name tag inside the little stocking and you have a very cute alternative to a bow for your Christmas packages! Happy Upcycling and Happy Christmas!